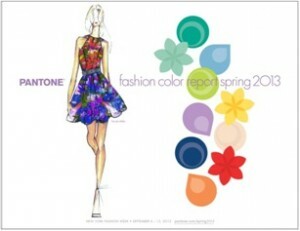 Pantone Color Report Spring 2013: Pantone LLC, an X-Rite company and the global authority on color and provider of professional color standards for the design industries recently released its fashion color report for Spring 2013. With gorgeous garden-themed hues like Tender Shoots green (PANTONE 14-0446), African Violet purple (PANTONE 16-3520) and Poppy Red (PANTONE 17-1664), it’s evident that color will be in bloom in both fashion and décor over the coming months. enLIGHTenment magazine: Writer Linda Longo “shines a light” on the latest trends in her interview with award-winning Northwest design firm Neil Kelly for her article “Top 10 Home Design & Remodeling Trends For 2013.” Again, we’re not about to steal Longo’s thunder – but we ARE particularly fond of Top Trend #2: Living in Your House Longer. As an Atlanta-based design-build renovation firm, that’s music to our ears. Benjamin Moore’s Tintable Chalkboard Paint: Benjamin Moore is a paint manufacturer that we use from time-to-time in our renovations, particularly on the interior walls. We are curious about the release of their new tintable chalkboard paint (Product # 308), which is “a latex topcoat that turns virtually any interior surface into a chalkboard. It is easy to apply, dries in a matter of hours to a durable eggshell finish, is easy to clean and fully washable. It also is formulated to minimize any lingering odors, making it ideal for a child’s playroom, bedroom or even the kitchen—as a message center for shopping lists and household reminders.” The best part is, there’s no longer a need for the blackboard to be BLACK. This Chalkboard Paint can be tinted to match all 3,300 hues in the Benjamin Moore collection – and with the ability to color match – the possibilities are endless! Check back every month for a new edition of Shades & Highlights from the design-build team at Atlanta home remodeler, Highlight Homes. To learn more about Highlight Homes and the services we provide, we invite you to visit us online at www.highlighthomesga.com. To schedule a no-obligation consultation with Highlight Homes to discuss remodeling your home in 2013, call us TODAY at 678-873-9234!